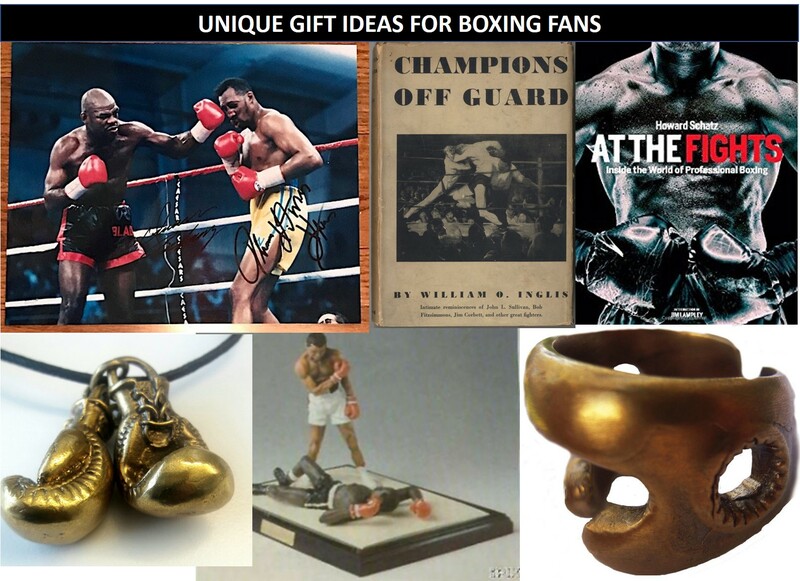 Finding the right gift for boxers and fans of boxing can be a true act of love. The “sweet science” attracts a certain type of personality. We call it the “Type D” personality – determined, disciplined, dedicated and driven. Fighters also have pride. Pride in what they have accomplished. The boxing ring helps shape that pride. 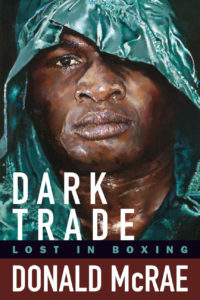 Dark Trade Lost in Boxing: Not only has this been called “the boxing book of all boxing books,” most fans who read books about boxing put Dark Trade in their Top 3. And there are those who call it the best sports book they have ever read. Off The Ropes: The Ron Lyle Story: How about a biography of a guy that was almost shanked to death in prison, survived on a bowl a spinach a day in solitary confinement, did 1,000 pushups an hour & after 7 1/2 years in prison took Muhammad Ali to 11 rounds? Then was acquitted of a 2nd murder. All the while he had this big heart that compelled him to start charities, visit prison inmates, and train kids who just needed someone to care, at a Denver gym that now bears his name? 2. 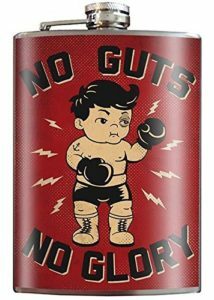 Boxing Flask: Closely related to the Prizefight Whiskey gift idea at the top of this list, a flask with boxing imagery and mottoes (or personalized inscriptions) is another idea for someone who enjoys their brown liquids. 3. Rare Boxing Books: Boxing fans are a passionate breed. And many are voracious readers – check out the crazy list of books this fan has read (scroll down the forum thread a bit). 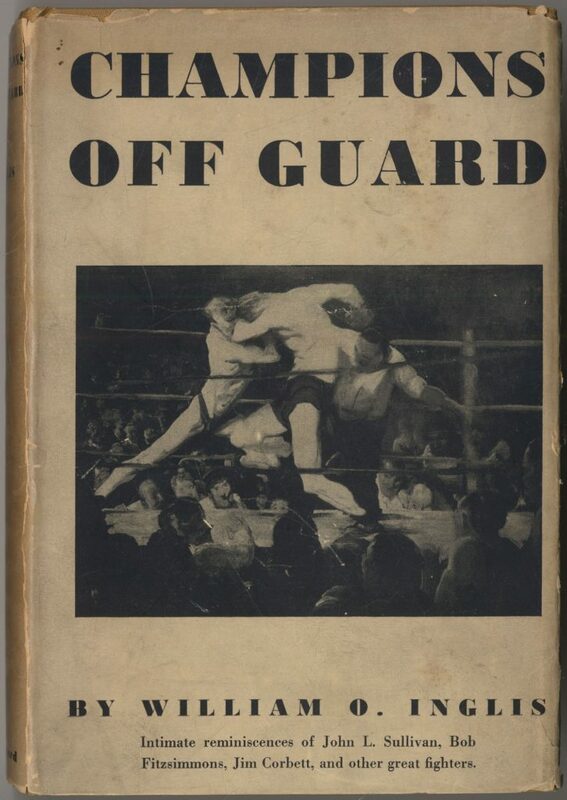 If your boxing fan likes a good read, and deserves something special for their bookshelf, look for rare and out of print boxing books. Champions Off Guard, by William Inglis – find it, if it’s not already sold, at Biblio.com. 4. 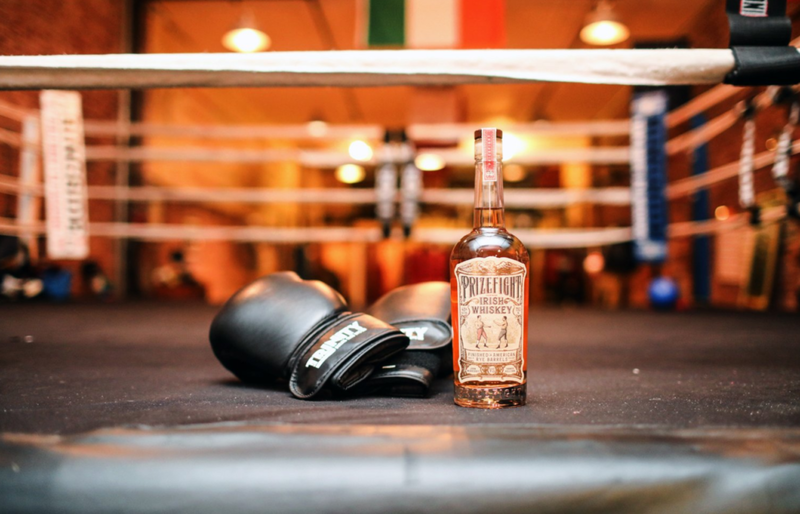 Prizefight Irish Whiskey: Prizefight is an Irish whiskey, distilled at West Cork Distillery and aged in barrels sourced from Tamworth Distilling in New Hampshire, USA. The rye barrel maturation adds some subtle mint and herb notes, giving the whiskey a fresh and lively character. 5. 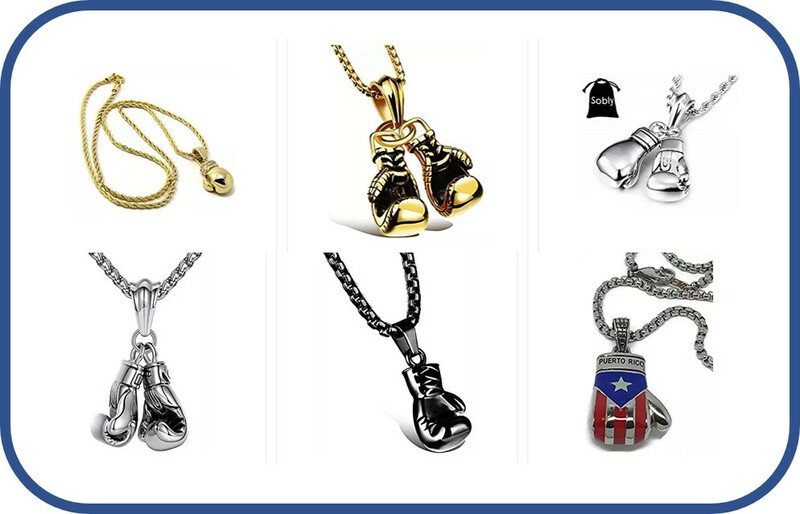 Boxing Pendants & Jewelry: The phrase “wear it with pride” never had so much meaning as when a boxer wears his or her dedication and drive proudly. 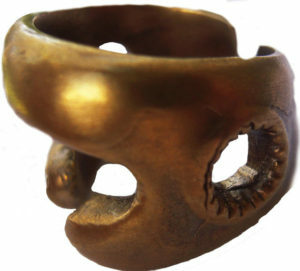 *Boxing Jewelry On Amazon – Don’t see something that fits? Check out a wide selection of boxing jewelry on Amazon. 6. 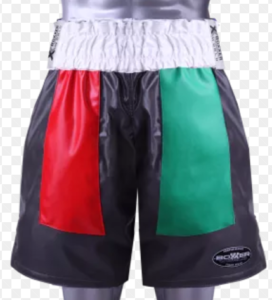 Custom Fighting Trunks (shorts) : Personalized boxing trunks can be the perfect way to pull together your boxer’s unique personality and interests. 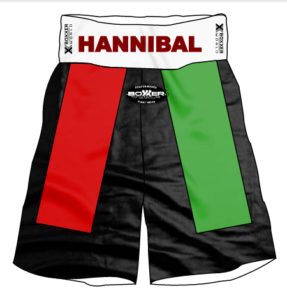 Even if your fighter might not wear their personalized shorts when training, or even at fight time, this gift is the perfect item that can be hung proudly in their own personal training cave. 7. 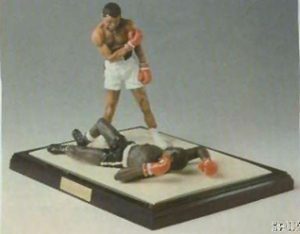 Collectible Boxing Figurines: (Bob Pace has been bringing the heat since 1974! Bob, is one of the OG memorabilia experts.) 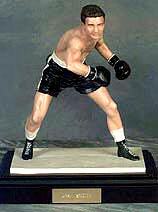 There are many high-quality collectible boxing figurines that embody the spirit of discipline and determination. Whether it’s a historical figure from the the rich boxing lore, or a symbolic figure, this is a great gift to show them that you’ve thought about who they are as a person. 8. Coffee Table Picture Book: At the Fights: Inside the World of Professional Boxing by Howard Schatz. 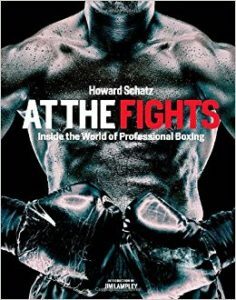 Excerpt from Amazon description: Schatz takes on the ultimate theater of sport and physique in At the Fights. Schatz has entrenched himself in the world of boxing, photographing and interviewing the game’s biggest stars and newest players as well as managers, trainers, promoters, club fighters and many others. In 256 oversized pages, Schatz’s remarkably powerful images are paired with insightful commentary to provide a truly unique look into the sport. As promoter Lou DiBella tells Schatz, “Boxing is a sport in its purest, most basic form. 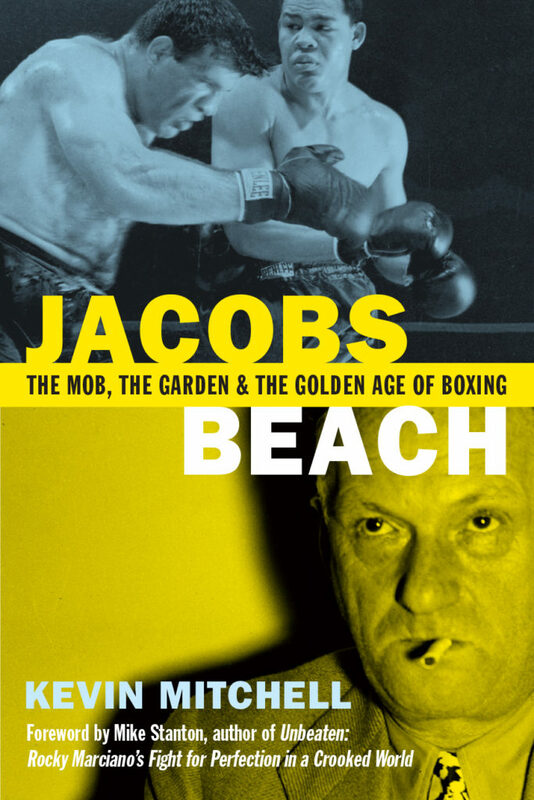 No sport is more theatrical, dramatic or real.” At the Fights beautifully captures all of those aspects in a striking, deluxe package that includes introductory comments by HBO commentator Jim Lampley. 9. 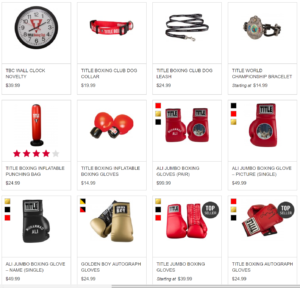 Title Boxing Gifts: One of the most prolific brands in boxing, Title has earned the right to have it’s own catalog of Title gifts and novelties. 10. 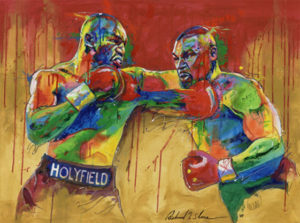 Slone Art Paintings & Drawings: Artist Richard T. Slone’s boxing art has captured the attention of the boxing world and collectors around the globe. Richard pursued an offer to become a boxer under the guidance of late boxing great Smokin’ Joe Frazier. Slone went to America and fought under Frazier’s guidance until Slone’s love for art forced him from the boxing canvas onto the stretched artist canvas upon an easel. 11. 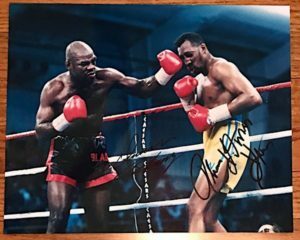 Boxing Memorabilia: There are a ton of great places on the Internet to find boxing memorabilia, but Heavyweight Collectibles is one of the best. Their categories include Boxing autographs, books, gloves, pinbacks & medals, postcards, posters, programs, statues & figurines, vintage tickets, and vintage boxing photos.